Our colorfast, all-weather pillow cover is handmade in El Salvador of colorfast 100% polyester fabric. 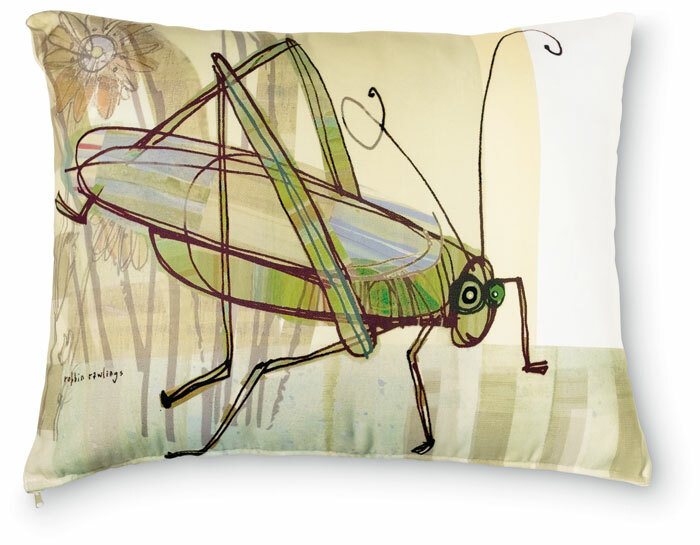 The design itself is by artist Robbin Rawlings and features a whimsical grasshopper. Robbin's artwork is used throughout our website and catalog. The pillow has a poly fill insert. Formerly $62, now 40% off.